Edible Oil Plant Turnkey Project and Corn Germ Oil Plant Project from 5 Ton to 1000 Ton per day.Our main products are Oilseed Pre-treatment Machinery, Edible Oil Mill Machinery/Cooking Oil Expeller/Edible Oil Press/Edible Oil Machinery,Food Oil Extraction Machinery/Food Oil Leaching Equipment, Cooking Oil Refining Machinery and Cooking Oil Processing Equipment. The corn germ recovered from corn grits processing,always mixed with more corn flour,broken powder and dander, in the process of oil due to the presence of starch, the first will absorb a certain amount of fat and remain in the cake;Followed by oil Blocking the impact of the oil; The third will increase the oil in the sediment, affecting the quality of oil,so the need for double-layer shaker for sifting.Corn germs Recycled corn germ, mixed with dander and radicle sheath and other impurities, need to use a shallow dish or sink to rinse with water several times in a row,such as cyclone separator available cyclone generated by the centrifugal effect,Isolated from the germ. The processing is to make small of the corn germ to easy for extraction. In this processing,to make sure the normal production, we need move the metal impurities from the material by permanent magnet machinery. For the corn germ oil preparation of the first procedure.Softening is by regulating the moisture and temperature of corn embryo to enhance its plasticity. 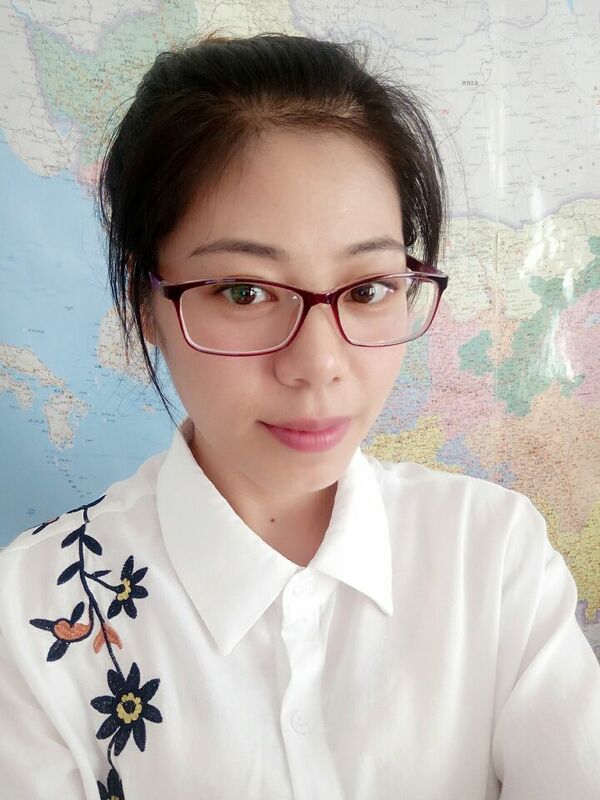 While the water and temperature interaction,mutual restraint, the general high water temperature should be lower;low water temperature should be higher. So the operation should be based on the size of corn germ moisture to control the level of temperature. At the same time in order to make corn germ eat vapor,to achieve uniform temperature, must ensure that a certain softening time, in order to achieve after softening of the corn germ does not clip raw,tender and soft,through and uniform operation requirements. In this process,the corn germ in the heat treatment at the same time the moisture content dropped to 10% or less, so that the material embryo plastic changes.Softening commonly used hot air dryer or hot steam roller dryer,material embryo in softening temperature rise should not be too hasty to prevent premature degeneration of protein leaving embryo lose elasticity,and thus affect the rolling embryo,steamed fried and pressing oil deal with. Maize embryo after softening treatment, then by rolling mill rolling machine into 0.3 ~ 0.4mm thin slice, promote cell structure damage, shorten the oil path, to facilitate the embryo steamed fried and squeezed. Steaming is one of the most important processes in the oil-making process. Because it is through the role of moisture and temperature so that the internal structure of corn germ greatly changes in order to facilitate the oil from the corn embryo is relatively easy to be extracted. 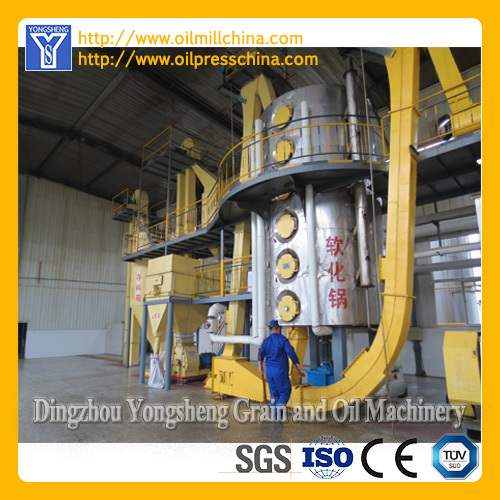 Because the corn germ oil preparation mostly by the small scale and the auxiliary workshop carries on, therefore uses the spiral presses the most suitable. Model can be determined according to the scale of production,a slightly larger production plant, can be selected with steaming fried equipment assembly 200 screw press, the machine steamed fried both, continuous operation,the use of simple operation,the oil is done in one set of equipment at one time. 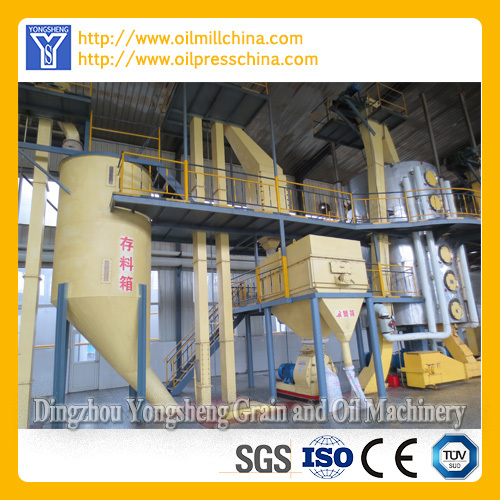 YZY260 is widely used in many corn germ oil production line,it reduced the cost,and also improved the quality of the oil cake. 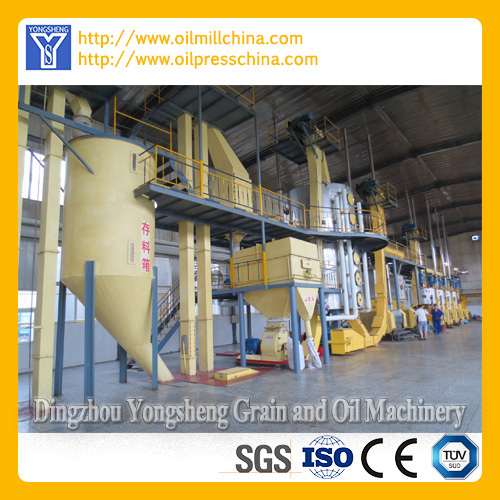 Looking for ideal Sunflower Oil Processing Line Manufacturer & supplier ? We have a wide selection at great prices to help you get creative. 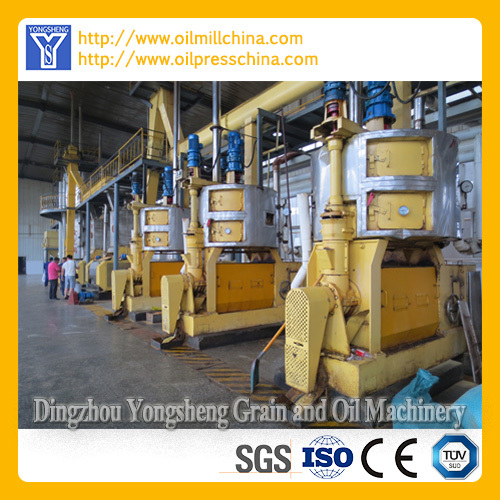 All the Vegetable Oil Making Machinery are quality guaranteed. 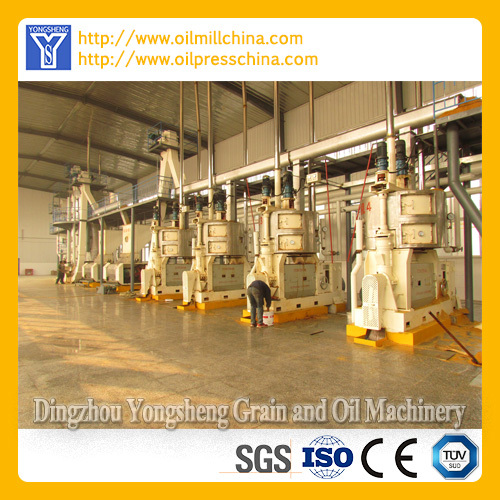 We are China Origin Factory of Peanut Oil Plant Project. If you have any question, please feel free to contact us.